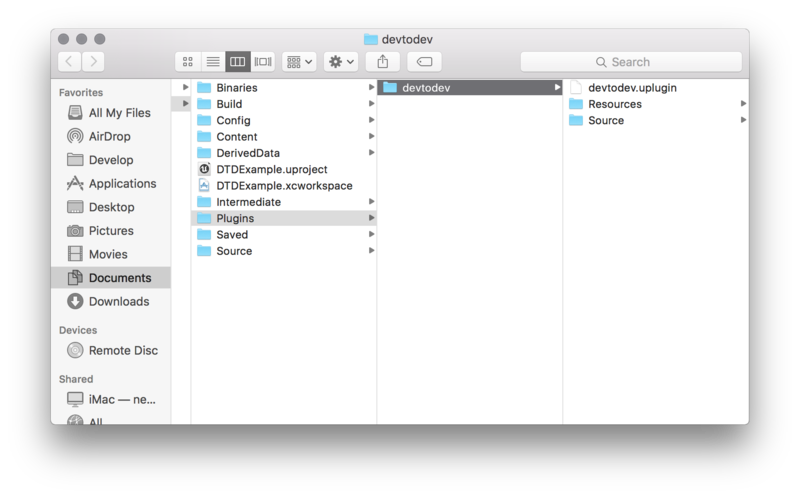 Add the application to the Space using the wizard for adding application. 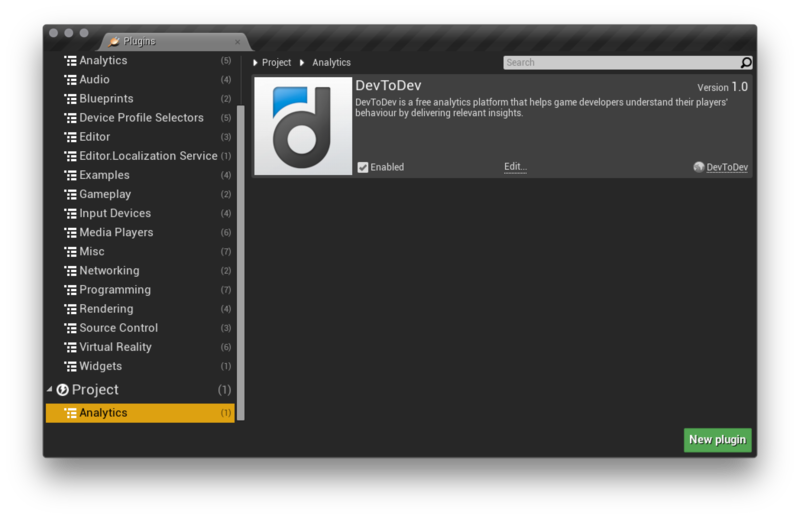 Restart Unreal Editor and open the plugin menu (Window > Plugins). In the "Analytics" plugin group of your project select DevToDev (and "Blueprint Analytics Framework" in case if you use blueprints). You will be offered to restart Unreal Editor again. Get the keys (they can be found in the application settings (My apps → App Name → Settings → Integration) and insert the keys in this window. 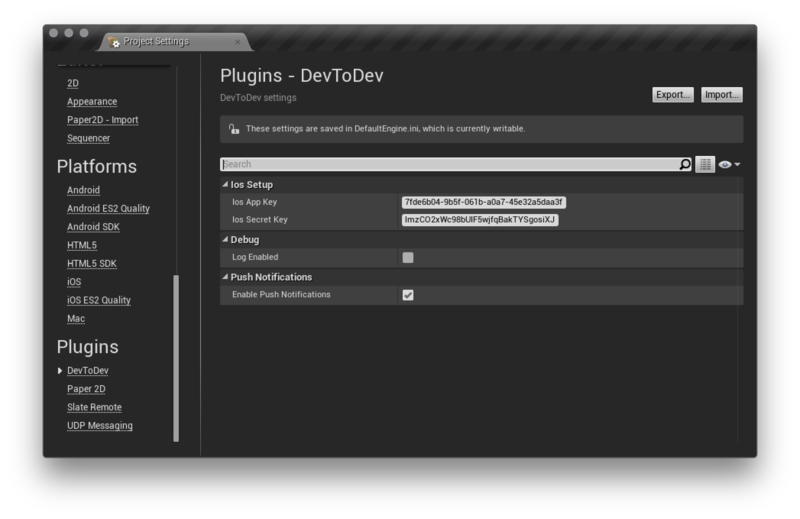 Then choose the "Enable Push Notifications" option in case if you want to send push notifications through devtodev service. All the events are available in Analytics block of your Blueprint. 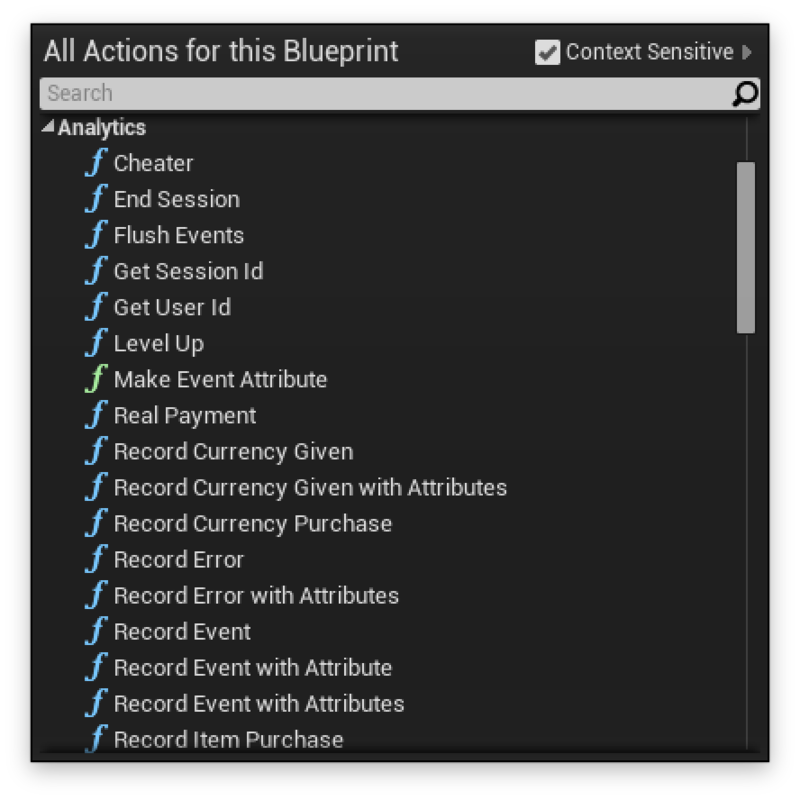 To initialize SDK in blueprint first call the "Start Session" event from "Analytics Blueprint Library".